Monthly events are featured on the Office of Graduate Studies' Career and Professional Development site. 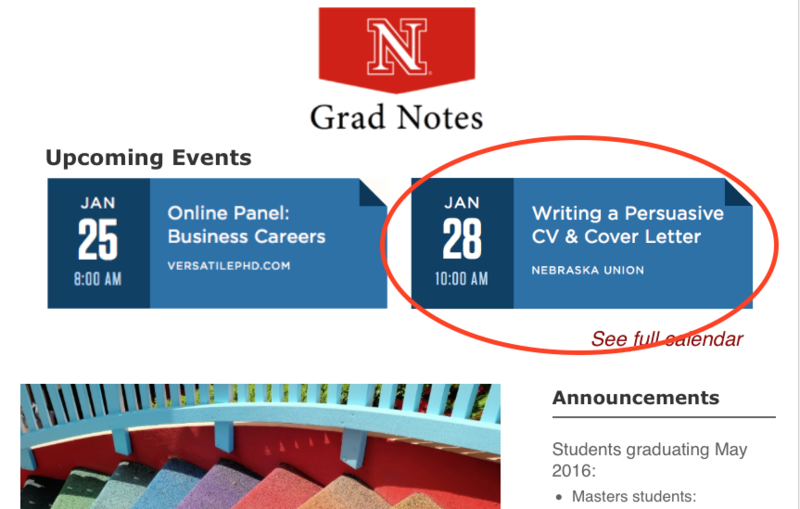 Subscribe to Grad Notes to get event announcements delivered to your inbox. The new semester is like a fresh sheet of loose-leaf paper: pristine and full of possibilities. While it’s tempting to start filling a new page immediately, you may find that the scribbling simply overflows the page, and it’s hard to find order in the mess afterwards. That disorganized approach can come back to haunt you. Instead, it’s better to step back and plan how you’ll use the space. Start filling your semester systematically, doing a little in each area of career and professional development (like planning your job search or developing key professional skills) so that you aren’t overwhelmed and don't waste your time. These four tips (and the corresponding workshops and events) can help you make the most the time you dedicate to career and professional development this semester. A CV communicates your professional experience and clarifies your fit for a position. 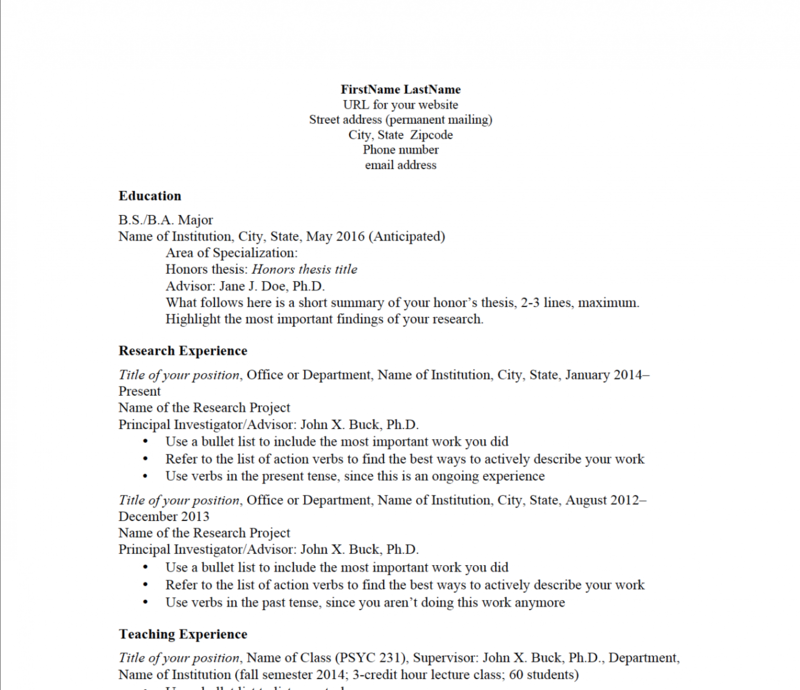 The balance of text and white space makes this CV visually appealing. The overall look of your CV is crucial to guiding your reader's eye to the most important information. The white space gives the eye places to rest and helps emphasize key points in the text. You’ll need a CV (or a résumé) the rest of your professional life, starting with applying for small fellowships, research opportunities, and awards. Don't wait until your final year of graduate school to put it together! You’ll have missed out on years of funding and lines on your CV. A good CV is deceptively simple: it includes only relevant information, is tailored to each job or opportunity, is formatted consistently, and keeps the reader in mind. To get you started on your CV, pick the headings that organize your experience and skills. Common sections on a graduate student’s CV include Education (this always comes first), Research Experience, Teaching Experience, Presentations and Publications (if you have a few, list them together, otherwise, these are two separate categories), Service, and Professional Memberships. (Résumés are organized a little differently–you'll most likely highlight work experience first.) After you’ve figured out the categories, order your experiences under each heading. Edit the document a few times to make sure it reads smoothly and you’ve presented your information consistently. The CV is a short document, so mistakes stand out even more. Precision counts! After you’ve drafted your CV, get feedback from trusted colleagues. Continue editing and adding to your CV after each new experience you have or award you receive. If you wait to work on your CV until you're applying for an opportunity, you're likely to have forgotten important details or key dates. For each funding opportunity, award or job application, curate the documents so they show you're a great candidate. Funding opportunities in graduate school start with teaching and research assistantships, and include awards for completing coursework or a dissertation. In addition, there’s money available for travel or attending conferences to present your research. Applying for these awards and opportunities takes time. Large fellowships, like the National Science Foundation Graduate Research Fellowship Program or the Ford Foundation Fellowship Program, take up to nine months (check out this calendar for planning your work). Smaller applications still need to be edited several times and polished, so you'll need to have a plan for working on those applications, too. Avoid being surprised by an 11th hour deadline by researching opportunities now. Even if you’re in your second year of coursework, it's good to be aware of the awards that will pay for you to finish your dissertation. That way, when you start working on your dissertation, you'll already have funding sources identified. It'll be easier to set benchmarks for working on applications a little at a time, and, because you'll have time to work on your application and refine your materials, you'll greatly improve your chances of getting an award. Research funding opportunities now. Setting your sights on future opportunities makes it easier to plan for your application so you won't be scrambling at the last minute. While there’s not one single place to learn about all funding opportunities, there are some great starting points for uncovering funding sources. If you haven’t already, join your field's professional organizations. (Some organizations have awards for best graduate student article, dissertation, or conference presentation; becoming a member makes it easier to apply for these awards.) Find out about "hidden" opportunities not connected to your discipline through systematic searches. A Google search for your field and keywords like “graduate student” and “fellowship” will begin uncovering opportunities. Track them and deadlines on a spreadsheet that you review once or twice a semester. UNL has a number of resources for graduate students looking for additional funding. Keep your eyes peeled for awards made at the departmental or college level (like the Milton E. Mohr award for engineering and biotechnology students or the Graduate Student Scholarly and Creative Activity Grant from the Hixson-Lied College of Fine and Performing Arts) and university-wide awards like the Presidential and Fling Fellowships. In addition to these internal opportunities, you can learn about external funding through the Office of Research’s listserv and the external funding database on Graduate Studies’ page. It’s never too early to explore career options. Start learning about the doors your master’s or doctoral degree will open. Explore career paths by signing up for Versatile PhD, a free online resource that helps graduate students identify, prepare for, and succeed in non-academic careers. Get inspired by the first-person narratives written by successful PhDs about their career trajectories and how they got there. If you’re getting ready for the job market, examine successful résumés and cover letters and learn about the jobs they got (and uncover strategies you can use on your own application materials). Information flows from left to right, top to bottom. The work you do in graduate school is meant to be shared with a larger audience. 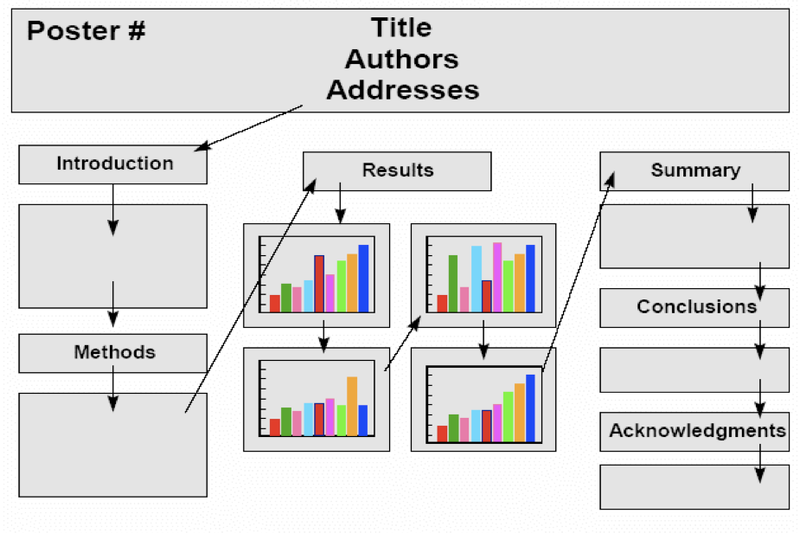 Some graduate students publish an article or two that becomes part of their dissertations, while others will present their research as part of a panel at a conference or as a poster. (Check out former Graduate Ambassador Elisha Hall's advice on finding conferences and applying to present your research.) Sharing your research is a vital part of making connections in your field and beyond. At a poster session, you'll get to make connections. You'll meet other researchers interested in your work, potential future collaborators, and possibly future employers! This April, present at the Spring Research Fair. It's a great opportunity to meet other graduate students, learn about what's going on around campus, and practice your elevator pitch before you attend a regional or national conference. To help prepare for attending the Research Fair or another conference, check out former Graduate Ambassador Debalin Sarangi's advice on how to prepare for a conference and present your research. Mark your calendar now for the Spring Research Fair.